Or well, Matcha woman in this case. And yes that was to the tune of The Village People. Welcome blog readers, I hope the New Year is being kind. In the last year in particular I’ve found my love for Matcha growing. I’ve been drinking it for roughly two years but could find so little information at first in terms of preparation and what to expect. For the first year I thought it was a disgustingly bitter green tea that was hyped for nothing more than the supposed health benefits. Boy, was I wrong! 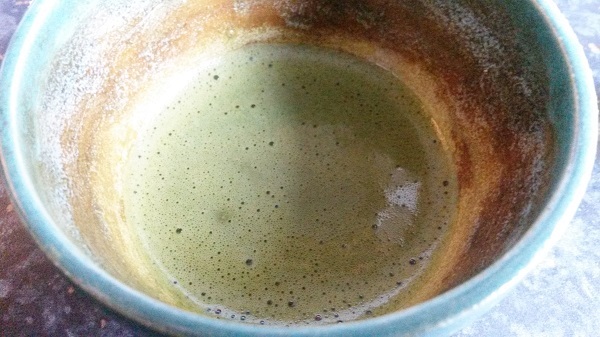 Matcha requires some techniques that teach you to approach tea in a different way, so really you have to forget your tea making skills this far and learn something new. Lets run through some of the basics. A small post on Yunomi can explain it better than I could. A form of Japanese tea in which the tea leaves have been shaded for about 4 weeks prior to harvest. Then, unlike sencha, the leaves are steamed, but not rolled before drying. This turns it into a form called tencha. After sorting out leaves from the stems and smaller particles (processing from aracha tencha to tencha and derivative parts), the tencha leaves are then ground into a fine powder. I can offer more information here since that short statement in itself is not simple. It sounds like it’s saying that one type of tea ie sencha is then made into another form of tea ie tencha in order to then make a final different type of tea ie matcha. I suppose they do say 3 is the magic number. Sencha – The leaves are steamed, rolled and dried to prevent oxidisation (which keeps them green and fresh). As that method is what defines sencha there are other types of tea that are also forms of sencha, such as gyokuro and kabusecha. So sencha is essentially the preparation method of the green tea leaves. Tencha – These are the same leaves as used for sencha but they are shaded for roughly 4 weeks before the harvest. The shading create sweet and savoury amino acids and lower astringent catechins within the leaves. Instead of rolling them like you would to create sencha you leave the leaves to dry whole. Matcha – With the tencha leaves ready for use they are put into a stone mill that grounds the dry leaves down into a fine powder. I hope that clarifies the process in simple terms. So we now know what Matcha is in terms of what it’s made from. Lets take a quick look at how it’s made ie the method. This is easiest if I show you a short video from Youtube. Though the mill is small and hand operated which is for personal/small retail use it still gives a good visual of what happens. For large batches the mills are much larger and are electric operated. As you have learnt so far the process of making Matcha is different and takes time and effort, this is some of what makes it so special. And considering Matcha is special that means it has it’s own utensils too. 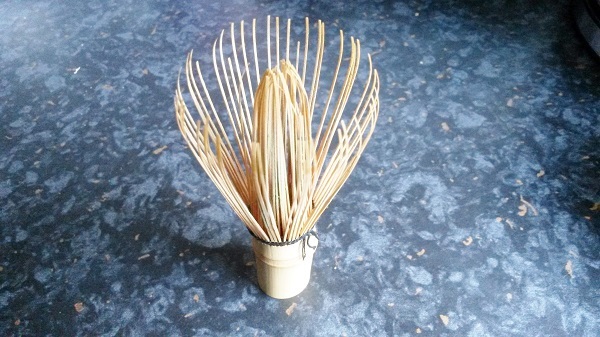 This is essentially a bamboo whisk that is used to mix and froth the tea. They do come with different number of tines which do differ a lot in price. Generally the greater the tines the more expensive it is, this is because it will be better at whisking the matcha and will create a finer foam. Some people use a small electric whisk and while they can get a good foam level it just doesn’t have the same ritualistic feeling or taste. The drinking vessel. It must be large enough to easily whisk with the Chasen but also be without a handle. They can look somewhat like a little bowl. 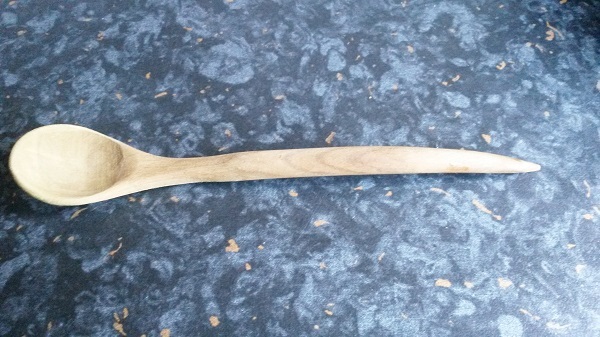 A wooden scoop that is used as a spoon to transport the tea ready for brewing preparation. A Japanese form of matcha sifter. 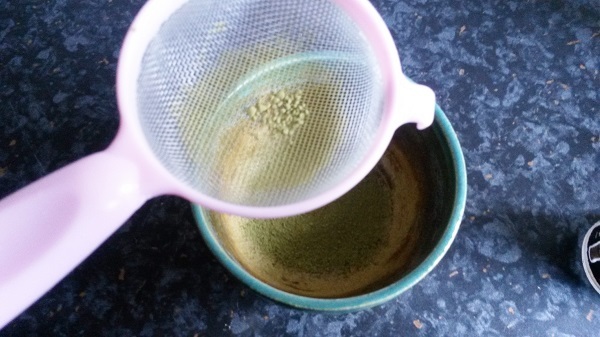 Used to get rid of the clumps that matcha develops in it’s container. The use of a sift makes the matcha fine which produces a better foam. 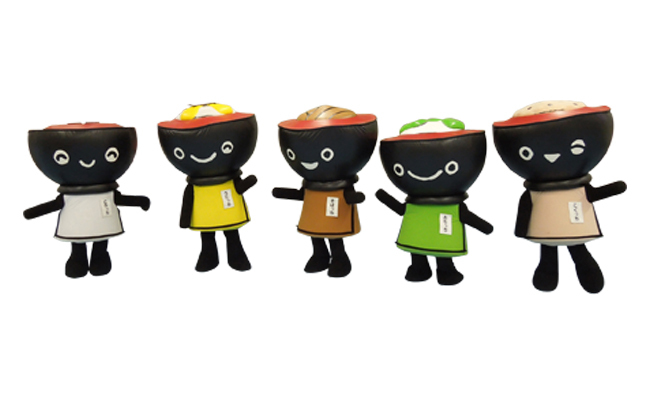 This is for every day use of matcha, for a traditional tea ceremony there would be utensils needed. 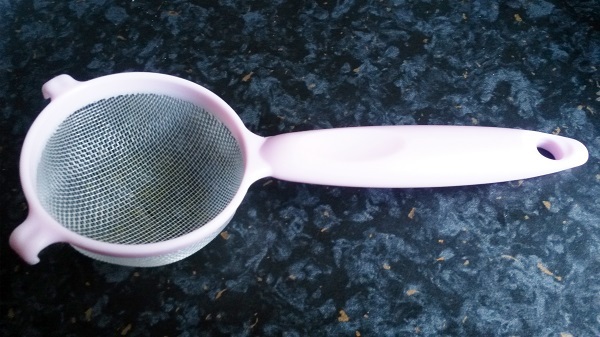 Please note that I do not have an authentic furui so I use a small cooking sieve instead. 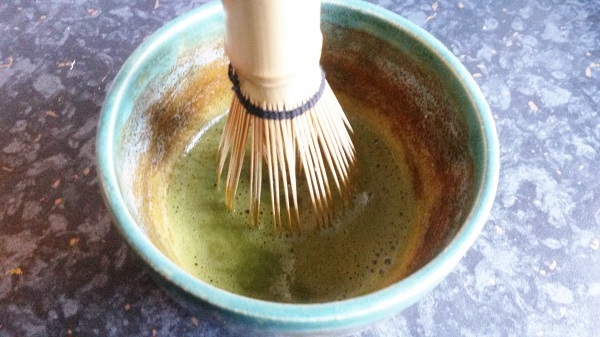 Place two chashaku scoops of your chosen matcha into the furui and powder through into the chawan. 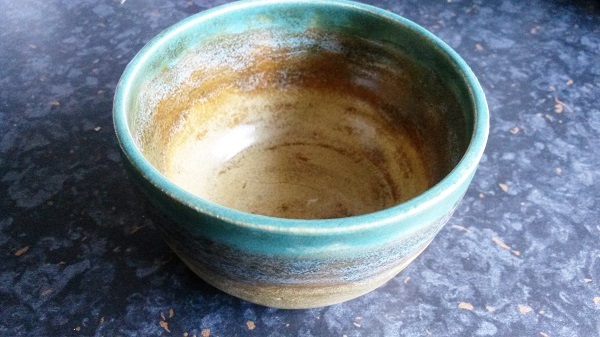 Once the matcha powder is in the chawan add roughly 30ml of water that is no higher than 80C. Pick up your chasen and begin to whisk with a back and forth motion, similar to a letter W. During this stage make sure that all the matcha is submerged within the water as sometimes it can stick to the side of the chawan. After an estimated time of 30 seconds you should have created a matcha that has a nice foam top. Then add another 30-50ml of water to the foam before drinking. 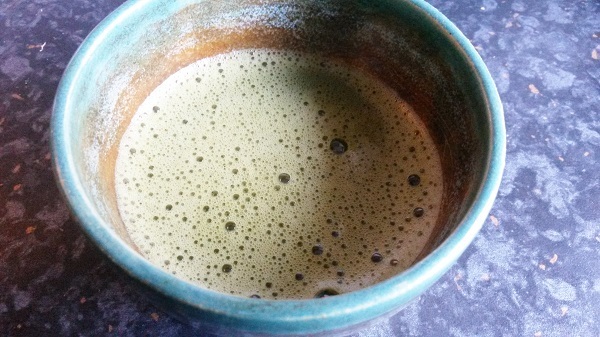 The foam is favoured when making matcha as it lightens the flavour which makes it easy to sip. 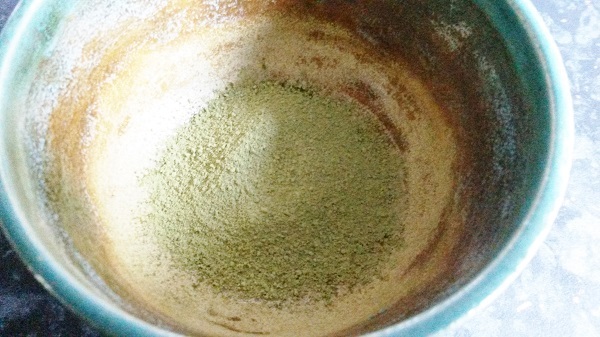 This is why the sifting is important, without sifting the matcha clumps in water and through the sips you occasionally get a clump of dry powder. The difference is immediate when you do one bowl made without sifting and one with sifting. With sifting not only makes it light and easy to drink but also sweeter and creamier. Of course this also comes down to the matcha itself, you cannot make a cheap matcha taste expensive no matter you do. Which I suppose should lead into a little about Matcha quality. There are two basic types of matcha: kitchen and ceremonial. 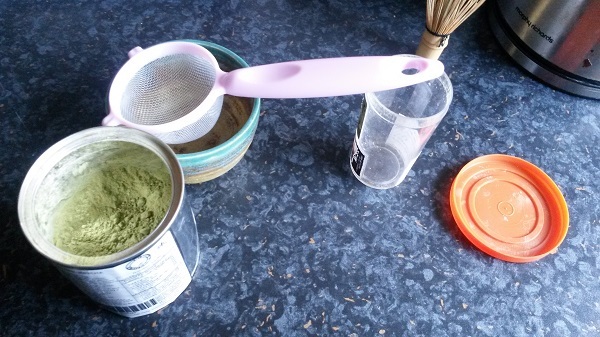 Kitchen grade matcha is the cheapest of the two as it is intended for use literally in the kitchen with cooking. Matcha can be incorporated in a number of dishes such as bread, ice cream, chocolate, biscuits, cake and so on. It has a bitter taste as it’s made with lower quality leaves which is what makes it ideal to cook with. I personally use kitchen grade to add to my Nutri Ninja juice blends in the morning. 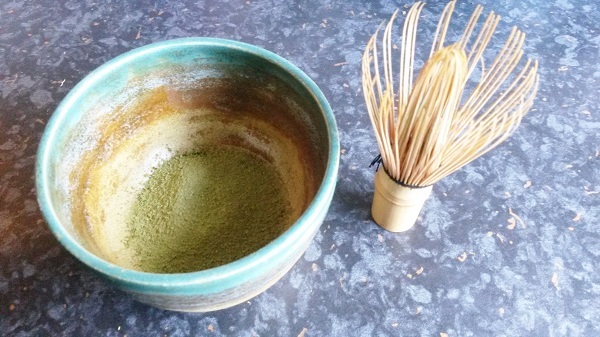 Ceremonial grade matcha is the most expensive of the two as it is intended for ceremonial and traditional drinking use. Even for every day use ceremonial grade is recommended. The leaf quality is higher than that of kitchen grade which means the flavour is less astringent and generally more pleasing. Also with a higher grade matcha you will achieve a good amount of foam when preparing. Matcha tea is incredibly healthy for you. 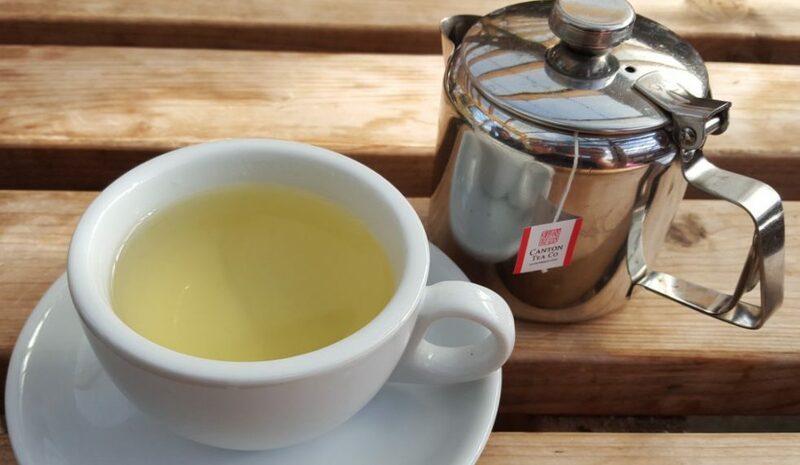 Most people are aware that green tea in general is healthy but it is said you need to drink at least four or five cups of it a day to fully achieve the health benefits of it. With matcha there is no need to drink it in excess for any other reason than it’s delicious. Since the matcha is made of ground leaves and in so drinking it means we are actually ingesting the leaves we only need one bowl a day to get our fill. In regarding matcha health facts if you look around you will find people claiming it can do just about anything. My problem with this is the scientific testing of it, there seems little to no proof in backing the majority of these claims. For the time being I will stick with large and well known companies/websites for their information and facts. It’s worth a read if you have the time. Even if some of what they claim is far fetched it means statistically some of them would be correct or just about correct. Frankly that is enough for me, I’m happy knowing that no matter what facts get thrown about it genuinely is healthy for you. 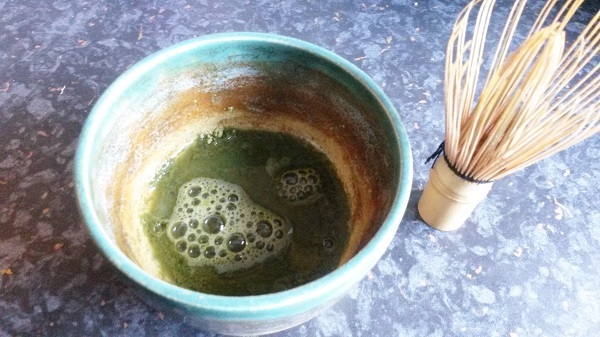 If you would like to know more about matcha then one great source is http://matchaenthusiast.blogspot.de/p/start-here.html I personally use this blog if I have a matcha question or am even just looking for some good matcha reviews/recommendations. They know more than I do on the subject which is why I only tried to cover some of the basics in this post, but hopefully in the future I too will be a matcha pro. I hope some of you find this post informative. When I started drinking matcha it was a scary experience and it took a lot of practice to get things right. If you are starting out with matcha then just know the basics before you begin, that makes the whole process less scary and more exciting. Great work on this introductive description of Matcha and how to make the best of it for all day use. I am certain this will help a lot of beginning Matcha drinkers out of that scary initial fase. A next one to try might be some “thick tea” maybe? Yes I agree, other matcha making techniques would be helpful including some thick matcha ie koicha instructions. Thank you for your kind words too. I am sure you will be a good match matcha woman. Love matcha. 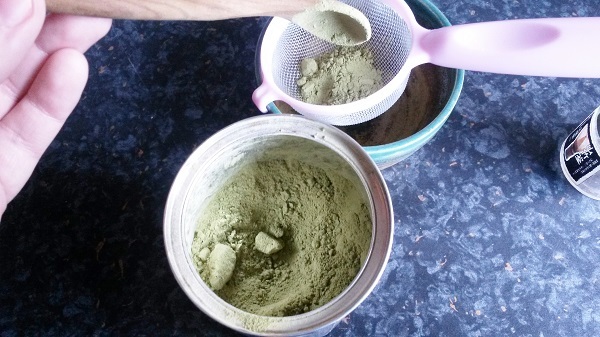 Great post explaining all the details and processes involving matcha.